Get heavy-duty, commercial grade, carpet pulling power with Koffler''s Powered Carpet Remover. This one-person operation, heavy-duty machine locks into any direct glued-down carpet, removing it from any surface quickly and easily. Strong enough to withstand the abuse of daily commercial use. 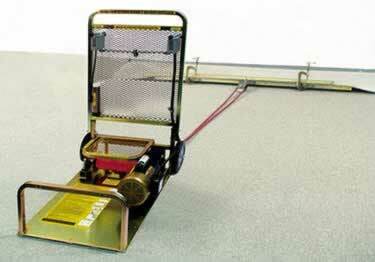 Get heavy-duty, commercial grade, carpet pulling power with Koffler''s Powered Carpet Remover. This one-person operation, heavy-duty machine locks into any direct glued-down carpet, removing it from any surface quickly and easily.